Signing up to receive the Commissioner's monthly newsletter couldn't be easier - just enter your details below and we'll send you an email with a link to confirm your subscription. We will only use the details you submit to us to send you the monthly newsletter and in accordance with the OPCC Privacy Notice. Please also note that data protection laws mean that we need parental permission to process the personal data of anyone under the age of 16. By subscribing to this newsletter, you are confirming that you are over 16 years old. If you are under this age but still wish to receive the newsletter, please contact us by email to request a parental permission form. 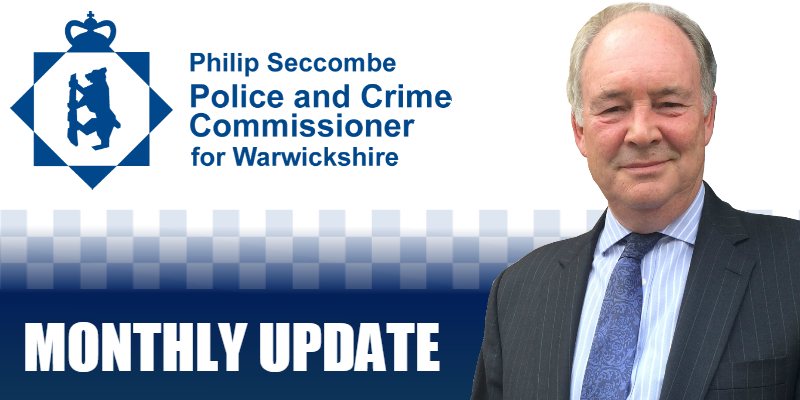 You can change your mind at any time by clicking the unsubscribe link in the footer of any email you receive from us, or by contacting us at opcc@warwickshire.pnn.police.uk. We will treat your information with respect. For more information about our privacy practices please visit our website as outlined above. By clicking below, you agree that we may process your information in accordance with these terms.